My Favourite Houses in Holywood, Plus A Real Life Grey Gardens in Bangor? I'm starting off with the red herring. It would be an easy guess that this George McDermott designed, positively mansion-esque, flat-roofed home in Cultra would be my favourite house in Holywood. Sitting alongside the Culloden Hotel on the main road from Belfast to Bangor, it's as luxurious inside as the size would imply. The interior has been fully modernised, but I would love to see photos of its original 1970s' stylings, especially the pool room, which it's rumoured George Best frequented back in the day. Best loved this place so much that he has his home in Cheshire based on some of the wilder features. The home went on sale a few years back for £1.2m and includes vast grounds and an outdoor pool. 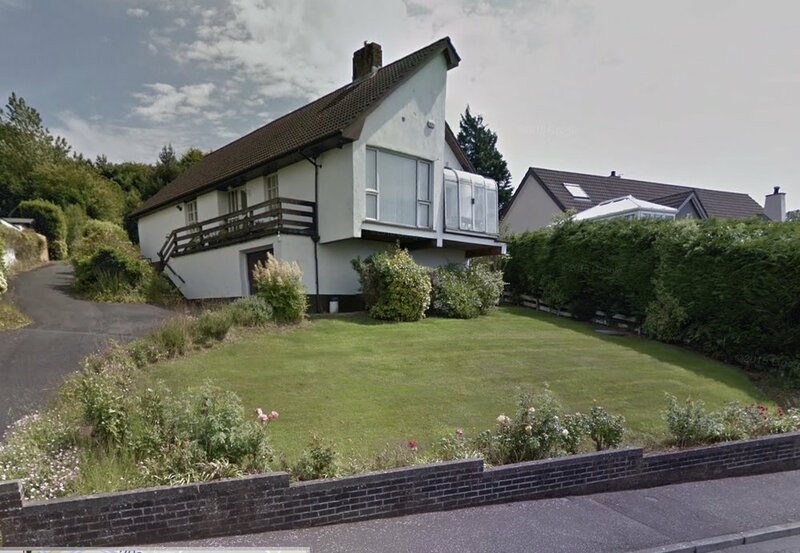 While I admire the modernist design, it alone isn't my favourite house in Holywood. There is a cluster of split-level, reverse-rooved wonders just a little further up the road and on the opposite side. The Marino area on the hill side, not the coast side of the main road, is home to half a dozen parallel streets with these family homes of 1960s & 70s quite innovative designs. Because of the hill, split level is used frequently, as well as lovely big windows for the views. Here is one of the homes that's been modernised in the last decade, although the others don't look too dated. 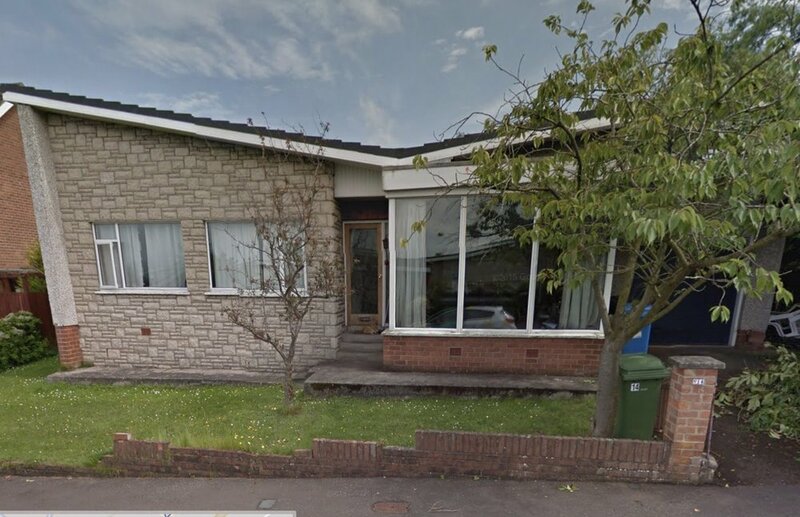 I do wonder if this style of modernisation I've seen on bungalows in Bangor West too, will soon look more dated than the original homes, the way the cladding fad has. This one isn't terribly design heavy, but I love it because it is true , right this minute Kitsch. A small family home overdecorated to the point it looks too much. Anything too ornate on something small is kitsch. Finally, I'm not sure if this would be of interest to anyone, but there is a real life Grey Gardens really close to my house. Someone really lives in this house, year round. The house is as it was when the street was built. No upgrades or double glazing, in fact the top further window is broken and just has card in place. I wonder how much it would cost to repair the place to how it should be? Would it be cheaper to tear down?